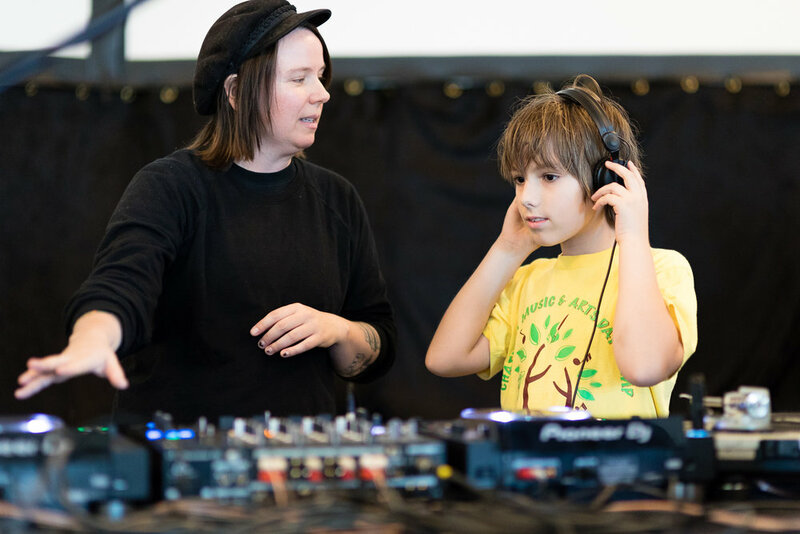 This free, all-ages workshop and instrument petting-zoo was designed for the aspiring musician, producer, DJ, and those who simply love to experiment with and make sounds. Demos were designed and led by Berlin's Room 4 Resistance residents Luz & Doc Sleep, and Pittsburgh-based sound engineers Madeleine Campbell and Elle Excess. This event was presented & organized in partnership with Carnegie Library of Pittsburgh's instrument lending collection, Ace Hotel Pittsburgh, and Hot Mass. with Madeleine Campbell (Women in Sound, PGH) - Learn the fundamentals of sound recording using ProTools, and discuss how to set up your DAW to best suit your recording and mixing needs. Open to ALL skill levels - beginners especially encouraged to attend. Hey Mx. DJ! 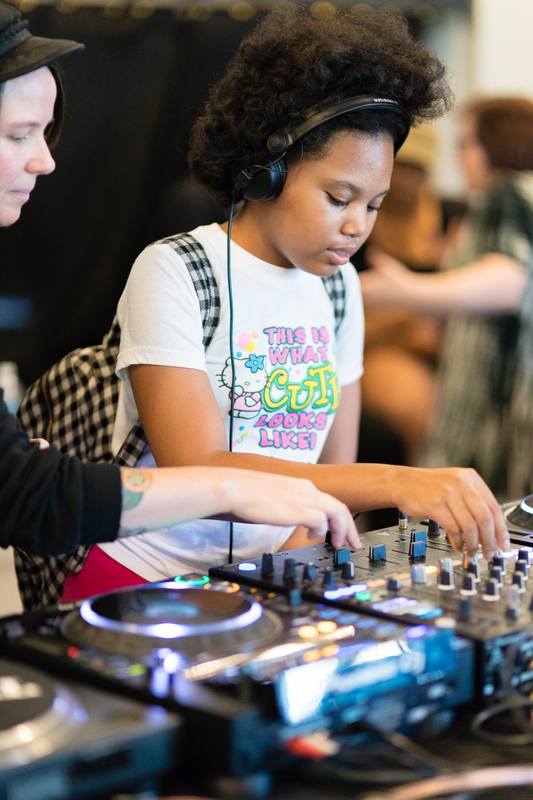 Crafting Femme & Queer-Friendly Dancefloors, with Room 4 Resistance (BERLIN) - DJ-ing isn't just mastery of gear -- it's a skill that involves reading your audience, creating and maintaining a vibe, and continually reflecting & seeding the spaces and cultures you want to see grow. Get up to speed with using CDJs, Turntables, and pro-tips from R4R on crafting yr sets. R4R is a Berlin-based queer collective focused on community-building and creating visibility for women artists, gender queers, non-binaries, and trans people in Dance Music. Hybrid Theory: Adding Live Instruments to Your DJ Set, with Alexis Icon (girlFx, musician/engineer, PGH) - This workshop builds on earlier sessions by showing how live electronics can be used to augment your DJ set, and/or how to perform electronic music live in a DJ setting.